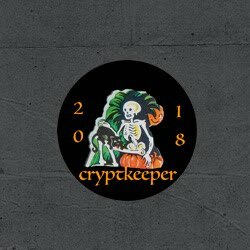 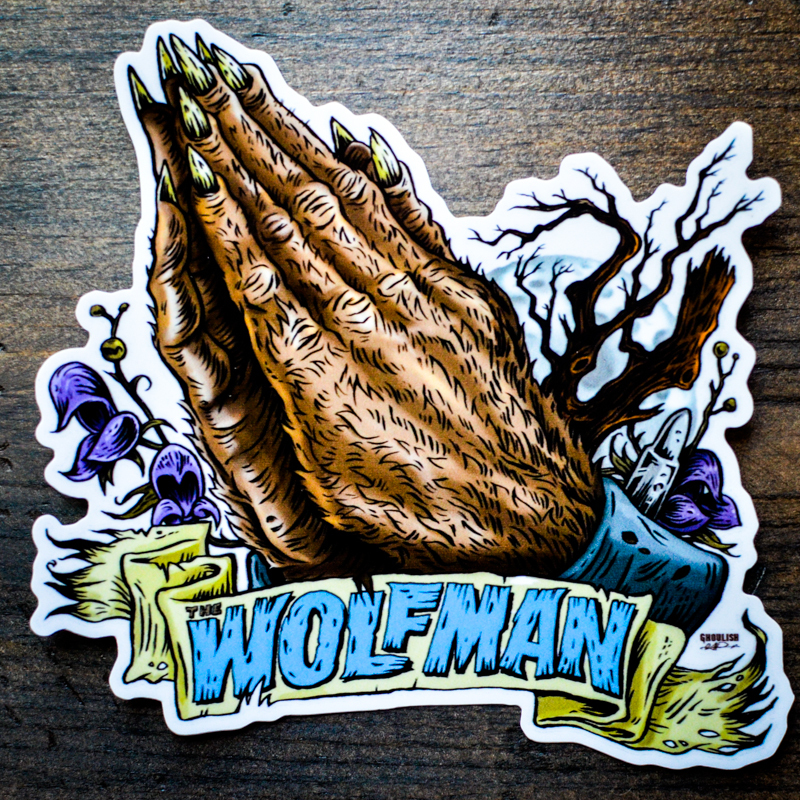 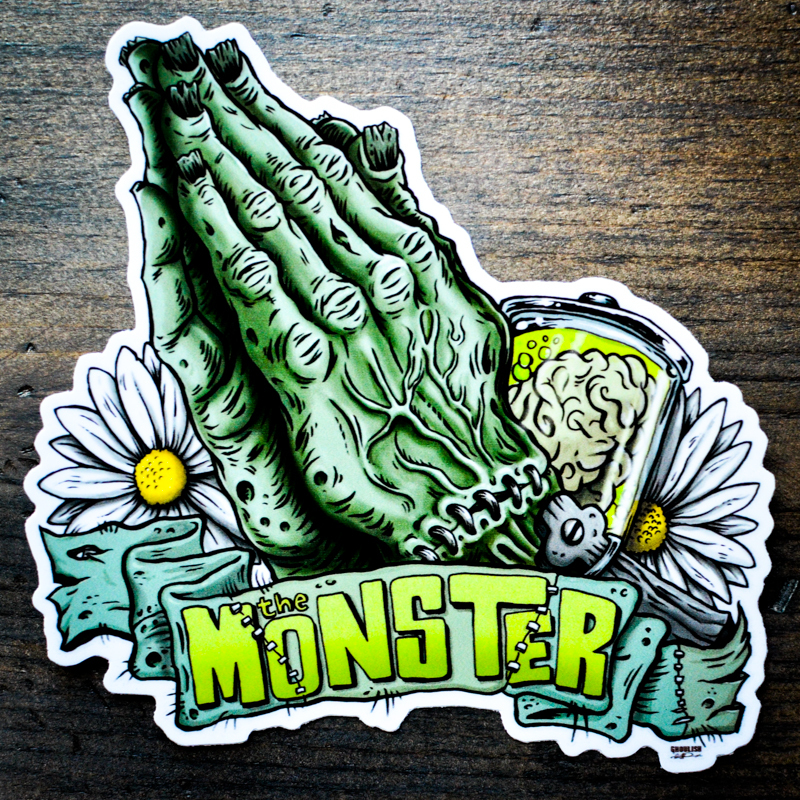 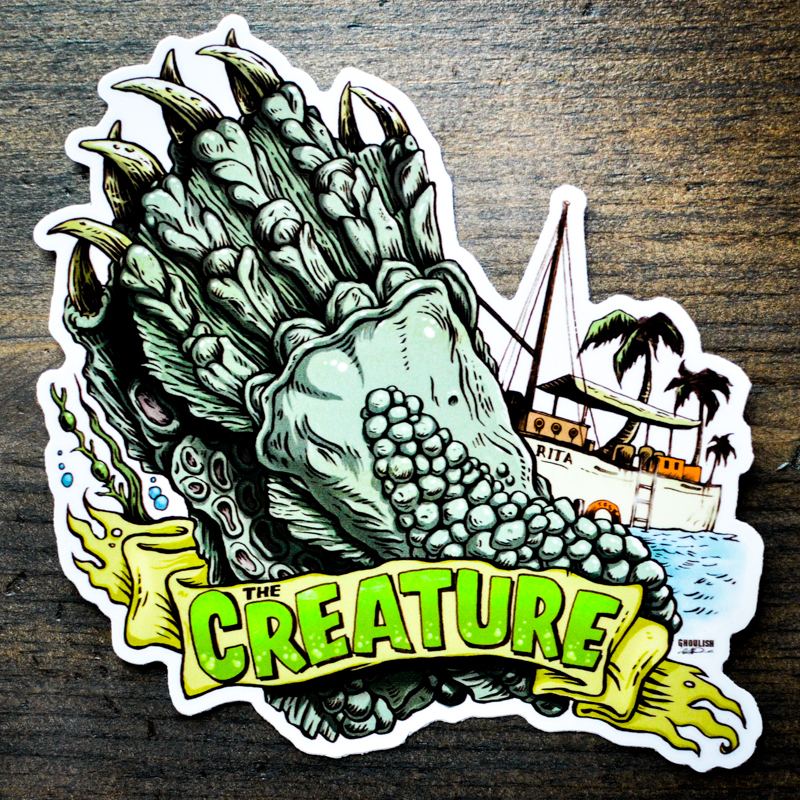 Here's a cool set of vinyl stickers, based on the "Pray For The Monsters" series by artist Ghoulish Gary Pullin. 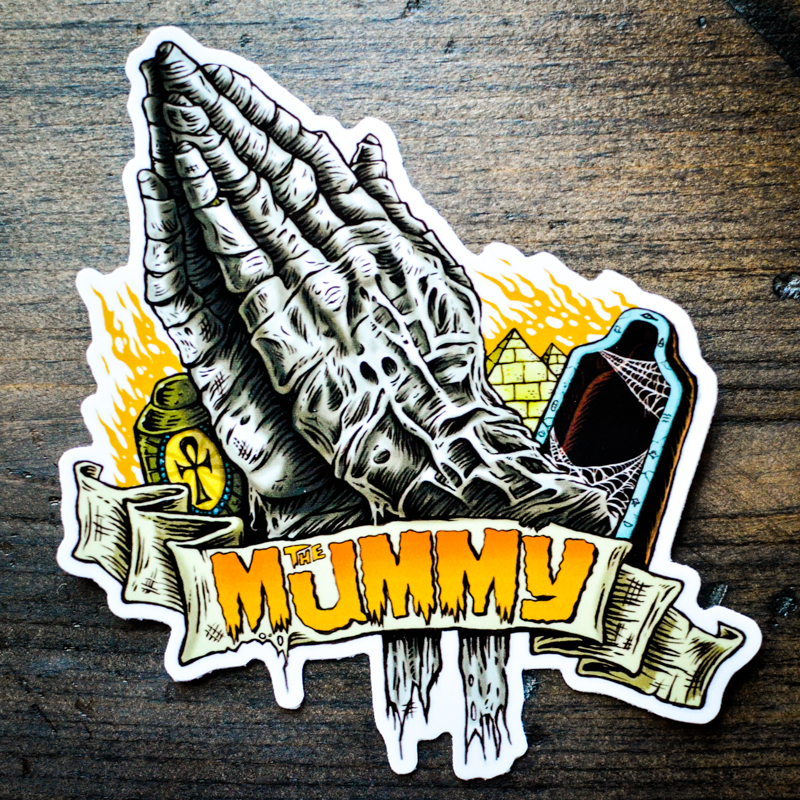 Available now at Hell & Co.
Love the vampire one.The monster needs a manicure though. 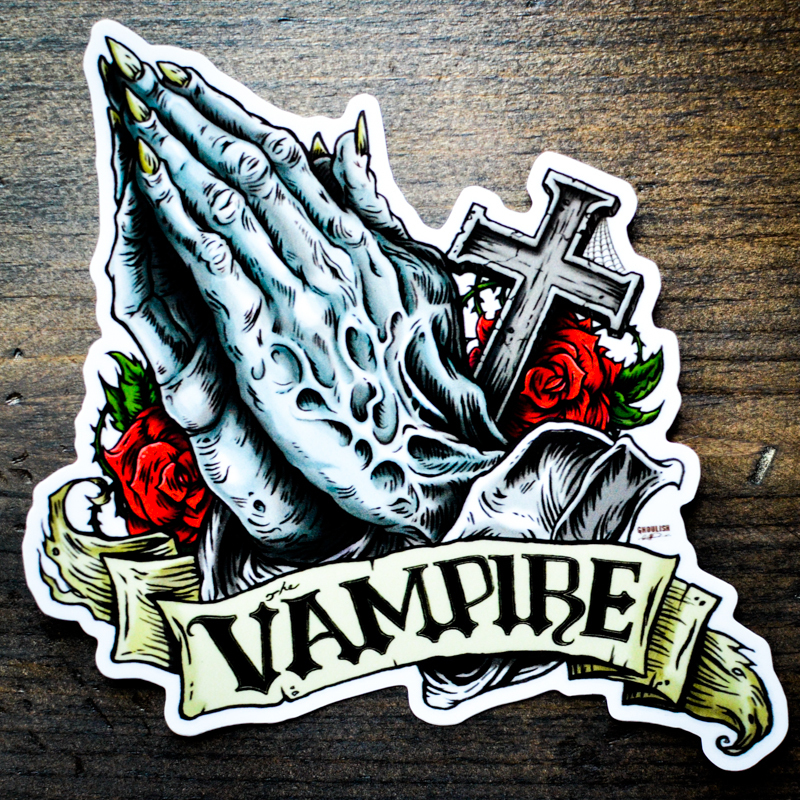 If Dracula says his prayers, does he melt?